I have recently been looking over notes for a house in Bath which was formerly the home of socialite and friend of Samuel Johnson, Mrs Hester Thrale. I first researched the house for my book, House Histories: The Secrets Behind Your Front Door, and along with Mrs Thrale, it has also been the home of celebrated artists and the physician who treated Admiral Nelson! 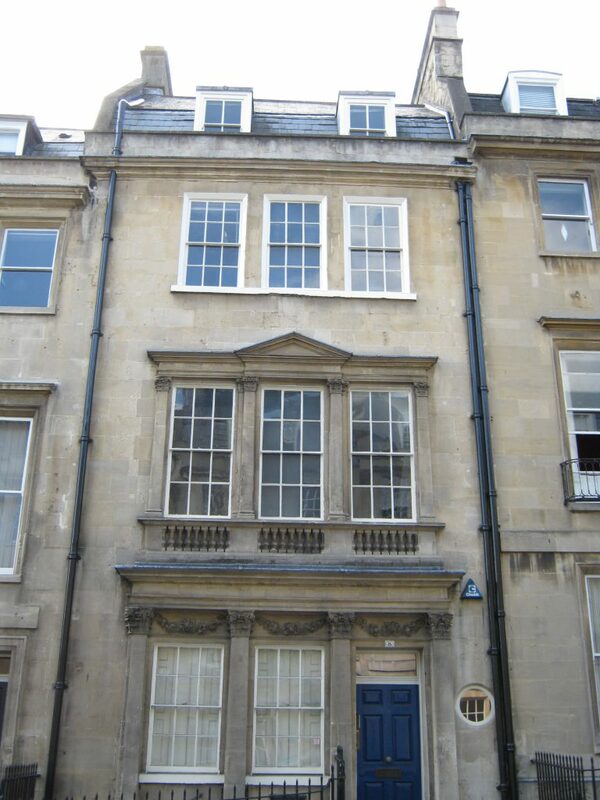 The house is situated half way up Gay Street in central Bath, a key part of the development of John Wood the Elder, leading from Queen Square to The Circus. Gay Street was first named Barton Street, but was later renamed to honour former landowner and MP for Bath, Robert Gay. No.8 Gay Street was completed in 1753 and has been known as ‘The Carved House’ due to its additional ornate decoration. The first leaseholder of the house was artist, Prince (yes, that was his first name) Hoare, a noted sculptor, who completed commissions for many famous names of the time, including Alexander Pope and Beau Nash. 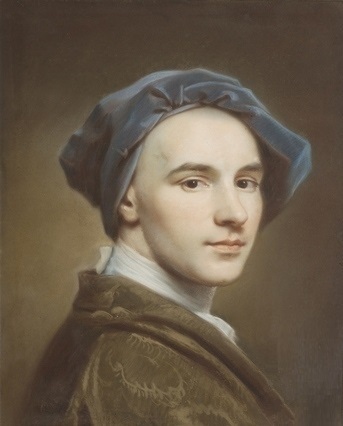 By 1770, the lease for No.8 Gay Street had passed to Prince’s brother, William Hoare, who was also a successful artist, who excelled in portrait painting. He painted a number of 18th century celebrities, including Prime Minister, Robert Walpole, and composer, George Frederic Handel. And, along with Joshua Reynolds and Thomas Gainsborough, William Hoare was one of the founders of The Royal Academy. The records reveal that in 1775 the house had become the home of Dr Woodward, one of the many doctors practicing in Bath at this time. This was during the Georgian period when it was extremely fashionable to visit Bath for the healing spa waters. However, amongst all the doctors practicing in Bath at the time, Dr Woodward was recorded as the personal physician to naval hero, Admiral Lord Nelson, in 1781. Horatio Nelson was in Bath during 1780-81, when he was only Captain Nelson, and was suffering with a fever or tropical disease (possibly malaria) but by the August of 1781 he had recovered and was appointed Captain of the Albermarle. After the departure of Dr Woodward, perhaps the most famous occupant of No.8 Gay Street, Hester Thrale, took up residence. 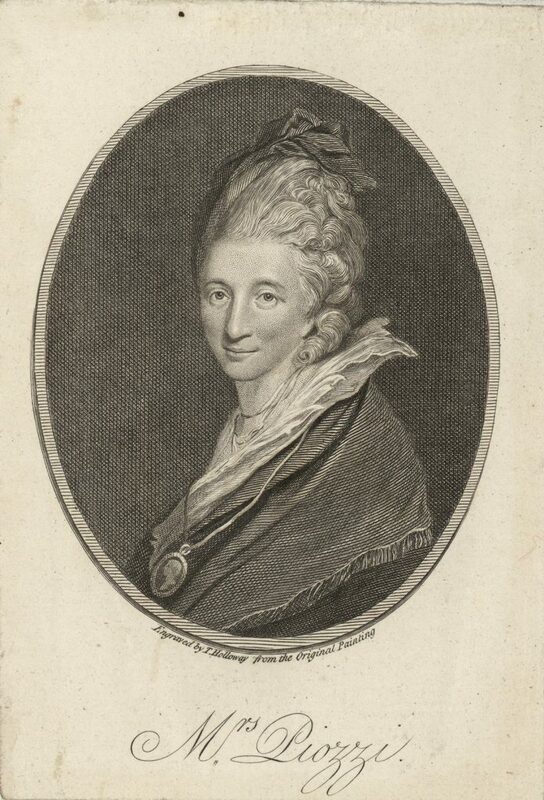 However, by this time Mrs Thrale had lost her first husband and had remarried and become Mrs Piozzi, but she is most often remembered as Hester Thrale or simply ‘Mrs Thrale’ and for her close connection to writer, Samuel Johnson. Prior to her marriage to her daughter’s music teacher, Gabriel Piozzi, in 1784, she had enjoyed a fashionable social circle, and along with Samuel Johnson, was friends with Fanny Burney, Oliver Goldsmith, James Boswell, and Sarah Siddons. After the death of her husband, the brewer, Henry Thrale, it was suspected Hester would marry Samuel Johnson, but instead she shocked society by marrying the poor Italian musician, Mr Piozzi. She was immediately shunned by her former friends and associates and not accepted into fashionable society. It was during this time that she spent the winter months at the house in Gay Street. Mrs Piozzi was a writer in her own right and published several works. After the death of Samuel Johnson (with whom she was reconciled before his death) in 1784 she published Anecdotes of the late Samuel Johnson, in 1786, along with her letters in 1788. 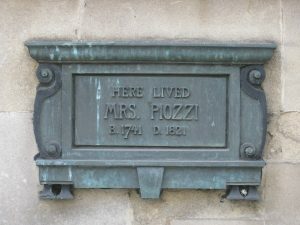 Mrs Piozzi later died in Bristol in 1821. After the departure of Mrs Piozzi, No.8 Gay Street became the home of a variety of different occupants. These included spinster sisters, Elizabeth and Jane Severs, who occupied the house for many years from the early 1800s through to the 1860s. By the late 19th century, the house returned to being the home of a doctor, when surgeon, Dr Samuel Budd, moved in. He was appointed surgeon of the Eastern Dispensary, but his position in Bath also brought him many high class clients. He continued in the house in Gay Street until he passed away in 1899. The 20th century brought many changes to the house in Gay Street. It continued as the home of a doctor through to the 1920s. However, after the Second World War, the large Georgian house suffered the fate of many homes across the country and was simply too expensive to maintain as a single family home and was converted into office space.